Professor David Macdonald, founding Director of WildCRU, who has been friends with Caroline since she survived the attempt to teach him insect neurophysiology as an undergraduate, said “We are delighted and honoured to have the Pond Collection at WildCRU, the specimens will inspire and inform, and the marvellous new space in which they are housed will become a focal point for our staff and students to enjoy conversation, concentration and contemplation in a setting at the intersection of fundamental zoology and conservation futures. Caroline Pond has done a great thing in bringing us this collection and in creating the space to house it, and we applaud and thank her”. 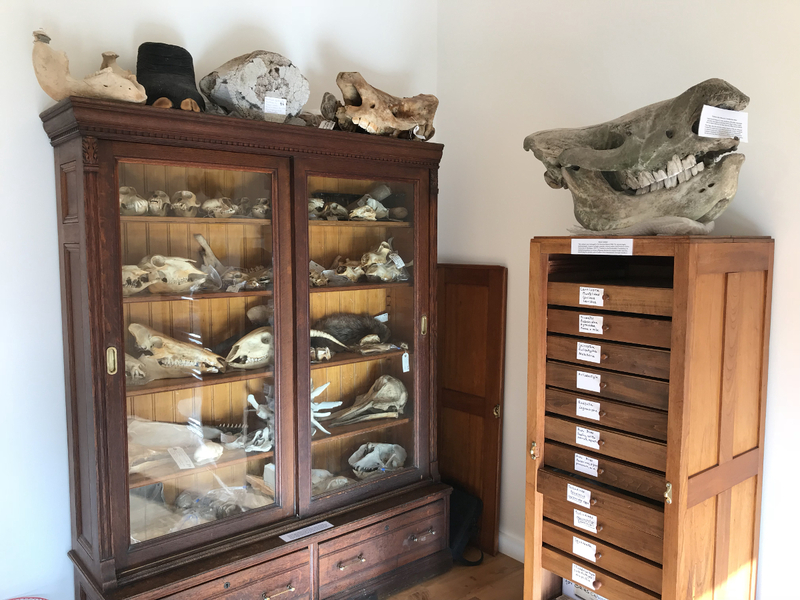 Related taxa are grouped together in the display cabinets, with all small items in the Bates cabinet drawers. Duplicates and minor items are in bags or boxes in cupboards. Skulls, jaws and other major components of large species are tagged and/or marked with a unique ID number and displayed on or near bag(s) of other components of the same individual, identified by the specimen’s unique ID number. 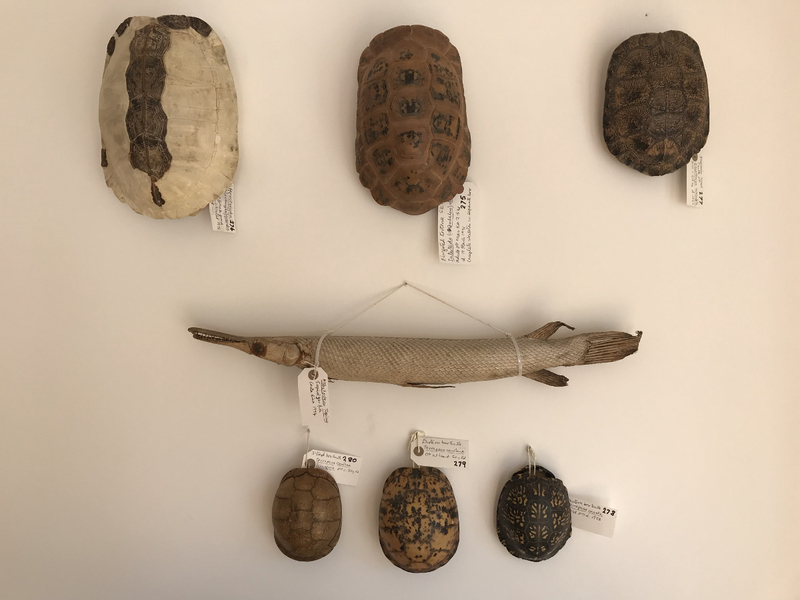 All specimens and furniture are labelled, photographed and catalogued. 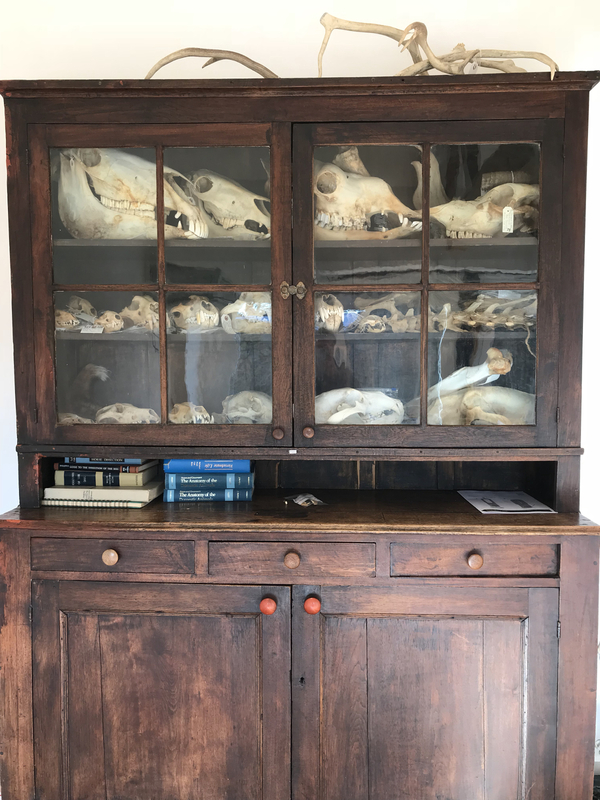 The Catalogue lists ID numbers, common and scientific names, components held, the designated place(s) in the Collection and records of removals and alterations. Scientists may remove items for sampling for any biologically-relevant physical or chemical procedure, including defacement or partial destruction (remains to be returned if possible). Please send enquiries about such uses to wcru@zoo.ox.ac.uk and caroline.pond@zoo.ox.ac.uk. All removals and sampling will be recorded in the Catalogue. 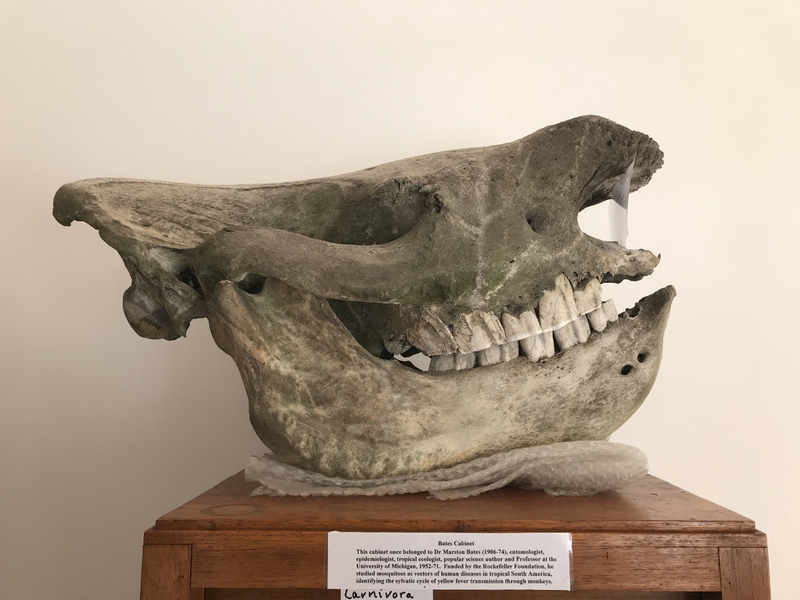 To comply with University Safety Office regulations, invasive handling of specimens must take place in suitable laboratories to be arranged with the Zoology Department, contact wcru@zoo.ox.ac.uk in the first place.